2-Step Verification has become a security standard for organizations and individuals serious about protecting their accounts. That being said, the policy is far from being universally implemented and many still have questions about it. We've rounded up the biggest concerns for a quick overview of 2-SV, right here! Q: Why is 2-Step Verification important to set up? A: Possibilities of compromise, malware in downloads, sketchy spam emails. Using the same password on more than one site makes you vulnerable. If one service you have signed up for is compromised, hackers can use that password and see if you have used it for any other service (which is why it’s important to never use the same password for multiple apps or services). Let’s say you download software from the internet here and there. Some downloads can have hidden malware in it that can log your keystrokes and compromise your account. With 2-Step (even when a hacker knows and uses the password) they will not be able to get into your account. Another example is clicking on links in email messages from people you don’t know. You may not do this, but others in your organization will, whether unknowingly or on accident. These links can send you (or your co-worker) to spoofed real websites and lead you (or your co-worker) to believe you are logging in somewhere legitimate, but you (or your co-worker) are really just giving your password to a hacker. Don’t let these things happen to you! A: When hackers get the access they want, they can lock you out of your account. With the simple step of setting up 2-Step Verification you can safeguard your account and your important documents. It’s much easier to secure account from an attack then it will be to ever have to try and recover from these examples listed above. Q: Do you have to use one of these 2-Step Verification methods every time you log in to the same app on the same computer? A: 2-SV can be configured to fit your preferences. During sign-in, you can choose not to use 2-Step Verification again on that particular computer. From then on, that computer will only ask for your password when you sign in. You'll still be covered because when you or anyone else tries to sign in to your account from another computer, 2-Step Verification will be required again. A lot of people today still only have one layer – their password – to protect their account. 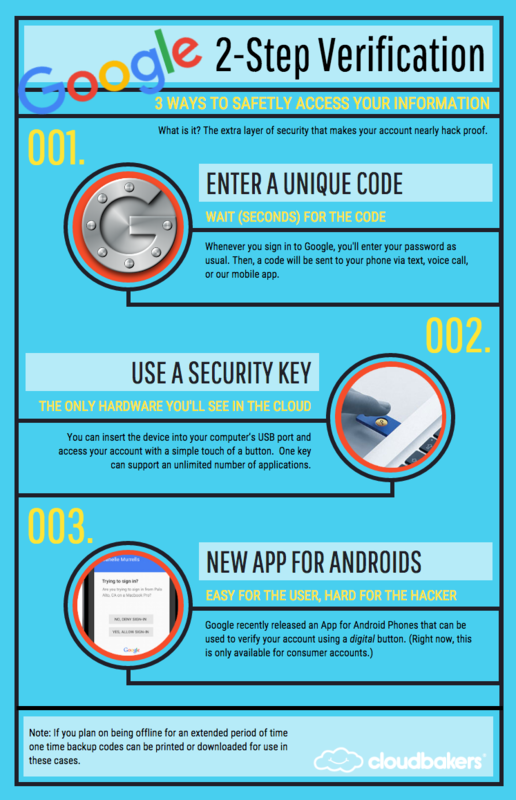 With 2-Step Verification enabled, if a hacker gets through your password layer, he or she will still need your phone (Google Authenticator or Android App) or Security Key to access your account. Codes are uniquely crafted for you, and you only, when you need them. If you choose to use verification codes, they will be sent to your phone via text, voice call, or our mobile app. And each code can only be used once. 2-Step Verification is too easy to set up and too important not to be using. Get your team enabled today. If you would like more information on the subject of security, click the picture below. 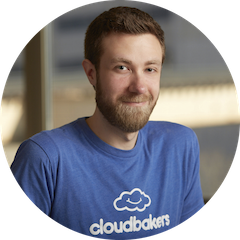 We’re hosting a series of webinars dedicated to topics surrounding security, including 2-Step Verification (which I’ll be hosting)!